In this week's Q&A, we interview Elmer Bernstam, a professor at the School of Biomedical Informatics and McGovern Medical School at the University of Texas Health Science Center at Houston. 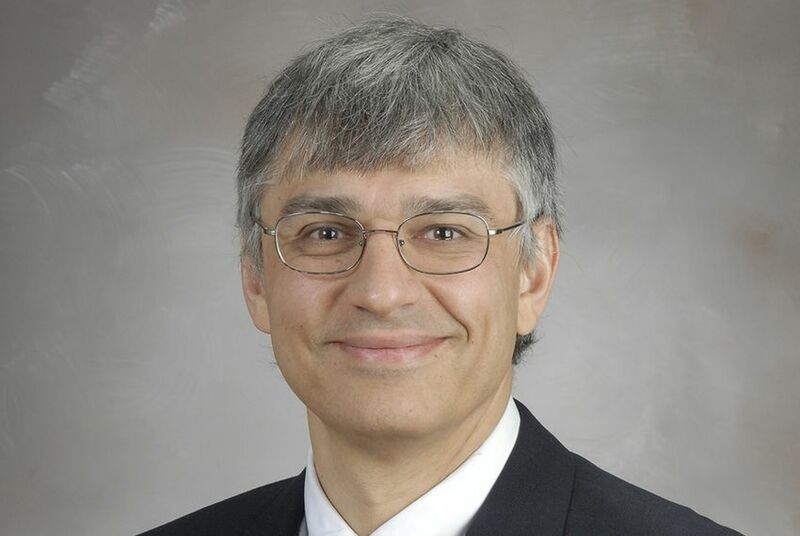 Elmer Bernstam is a professor at the School of Biomedical Informatics and McGovern Medical School at the University of Texas Health Science Center at Houston. He is heading an initiative to facilitate the sharing of medical records among UT System-owned hospitals and clinics. Trib+Health: Could you tell me about the new initiative that you’re heading? Elmer Bernstam: It’s called the UT Clinical Data Network, and just to clarify, it’s not just a UTHealth initiative; it’s really a UT System initiative. The idea is that the chancellor, Admiral McRaven, has identified as one of his what he calls “quantum leaps” the goal that the health institutions act more like a system rather than a set of individual institutions. As part of that vision and to promote that vision, we were asked to put forward some recommendations regarding how to form a clinical data network. So, how do we allow decision makers, particularly in support of the clinical and operational missions of the health campuses, to do analytics, essentially. Trib+Health: My understanding is that the goal is to share data and medical records between different health groups. Bernstam: As our initial steps, one of the main questions we want to answer is, what are the priority use cases? In other words, how could we design this system to answer the kinds of questions that are really important at the system level? In order to identify these questions, we will be convening the relevant people from UT System from each of the six health institutions and perhaps outside people, people from outside system and state, to serve on an advisory board. Let me give you one example: We know that a large proportion of health care costs are due to or associated with a very small percentage of the population. And so, would it be useful to identify these "expensive patients", if you will, or high utilizers of health care services, so we can treat them more effectively, so that we can maybe treat them proactively? I think most people agree that that would be a useful thing to do, and certainly useful at the campus level of each institution. Is that useful at the system level? Well, maybe, maybe not — it depends on the specific goals that system puts forward. And so one of our main early objectives is to identify a set of specific and compelling use cases that will drive the design and development of the system. Trib+Health: Is there anything else you hope the system will learn from sharing medical records? Any other examples of what might come out of that? Bernstam: Again, I want to emphasize that it’s not up to Elmer or UT Houston to define what the priority use cases are. I think we’re going to have input, but it really needs to come from the system as a whole. This is really a UT System project, not a UTHealth project, and so it’s not up to me to dictate that. But the kinds of things, to answer your question regarding examples, might be: Suppose that at Institution A, they do a much better job of taking care of a particular condition than at Institution B. It may be that’s because they code it differently, it may be because the patient population is different. It may be because they genuinely have a better process, but we can’t even ask that question unless we have the data. So the sharing of best practices related to a particular condition or a particular process might be another type of use case. Although the primary goals of this project will be clinical operation, the secondary goal will be research. We hope that the same structures that support the clinical operations — which is fundamentally the ability to query across patients, rather than within patients — will also support the research mission. Examples might include identifying patients for a particular clinical trial, maybe it’s observational research — so how did patients with a particular condition do when they’re treated with drug A vs. drug B, which is an increasingly important way to do research. Another important mission might be biosurveillance — so tracking, for example, infectious diseases, let’s say Zika, or tracking the side effects of drugs after marketing, so what’s called post-marketing surveillance. Those would be the kinds of things that we hope to accomplish. How they’ll be prioritized, what particular condition, I think remains to be determined.